Kate’s workshop is now full, thank you for all those who have enrolled. There are still some vacancies for Luke’s workshop however as they are on this Saturday you won’t have time to do a bank transfer. 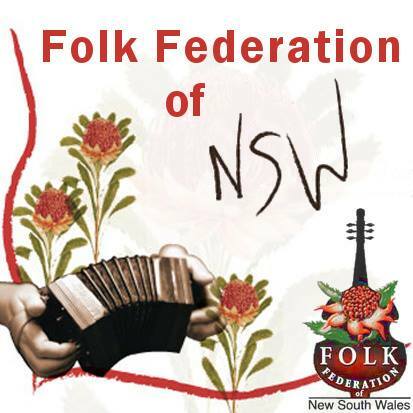 If you wish to book in now please email workshops@folkfednsw.org.au and we will let you know if you have place and arrange payment with you. The Workshops will run during the afternoon of Saturday 23rd February 2019 in the church space at the back of the Fairlight Folk venue. In the open tunings guitar workshop we will primarily look at DADGAD and Open G tunings, with some variations. We’ll examine how techniques like string dampening can give us control over chord voicings; the colours that we can add by playing with different capo positions relative to the key of a song; and also fingerpicking and pick-strumming techniques and rhythm. The workshop will set you up to write songs or accompany other players in open tunings, and to develop the open tuning skills that you might already have. You don’t need to be well-versed in open tunings to take this workshop – just a reasonable amount of confidence on the guitar in any style is enough. I’ll provide printed chord shapes, but bring along a pencil and paper as well as any device that you’d like to use to record parts of the workshop (audio and/or video). We encourage workshop attendees to consider heading off for a couple of hours for a swim/ dinner etc and then come back for the show which starts at 7:30. Doors open at 7pm . We might let them stake a seat out before they go. To book for the workshops fill in the form below and then use the payment information provided to pay. When payment is confirmed your place in the workshop will be confirmed. PLEASE NOTE: Your place in a workshop will only be assure when you have paid. See payment details below. Luke Plumb has established a reputation as a driving force in acoustic music on the global stage. He has worked with the Scottish acid croft folk band “Shooglenifty”, with Peter Daffy and his own band “The Circuit”. He has been a collaborator and solo performer, producer/sound recordist for artists such as the late Michael Kennedy, “Kate Burke & Ruth Hazleton” and “The Mae Trio”. He has recorded and toured with Irish folk luminary Andy Irvine. Kate Burke has been singing and performing as a multi-instrumentalist for many years, and has won much acclaim as a member of Irish/Australian traditional band “Trouble in the Kitchen” as well as in a lauded duo with Ruth Hazleton & with “Pete Wild and the Only ones” on multiple instruments including trumpet. Kate is a headliner on any folk festival stage and has played and recorded with many artists including Andy Irvine . Kate is in demand as a session guitarist and album producer, and has performed music for film and television. An award-winning and highly-accomplished songwriter, Kate’s songs have been performed and recorded by such artists as “Muireann nic Amhlaoibh (Danu)” and “Tolka”. Kate is passionate about community music, and is the director of the Bega Valley Children’s Choir. She has appeared as a soloist at the Sydney Opera House for a season of Bush Babies’ Proms. 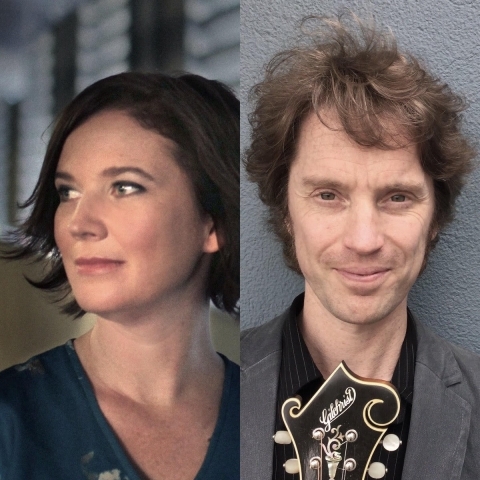 Kate Burke and Luke Plumb share a love for 1970s Irish folk revival music, having obsessively absorbed the music of the era – in particular Planxty’s revolutionary treatments of traditional songs. Since then they have each toured with Andy Irvine, with both being featured on Andy’s most recent album Precious Heroes, which Luke produced. Kate & Luke now bring their formidable instrumental skills, strong vocals and creative minds to making groove-based, complex interpretations of traditional song.